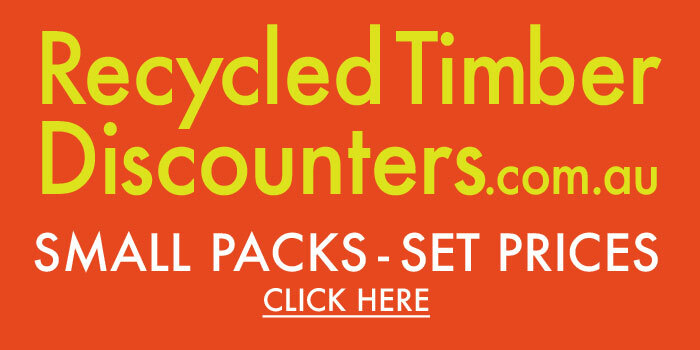 Showroom HoursMonday to Friday 9am – 4pm, Saturday 9am – 12pm. Due to delivery schedules, office may be unattended at times. Please call ahead to arrange timber inspections. 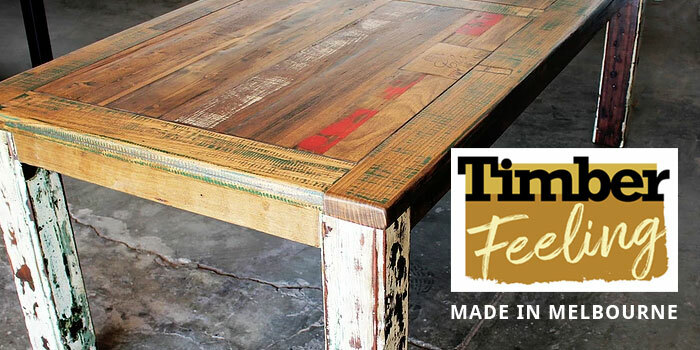 You’ve got to love recycled timber. It’s tough, environmentally responsible, and aesthetically beautiful. And in Australia right now it’s almost as easy to buy as new. 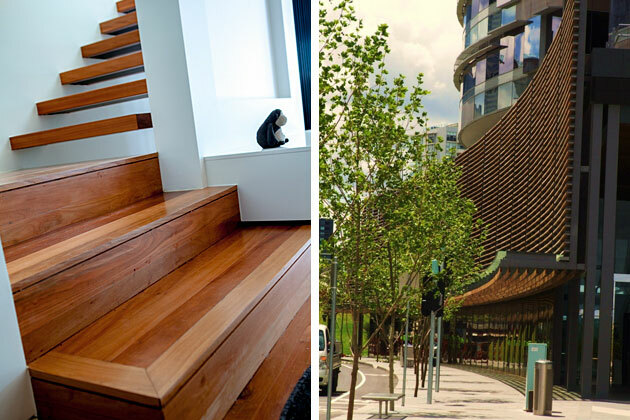 Cafes, bars, homes, commercial buildings – everywhere you look timber finishes are making a comeback. 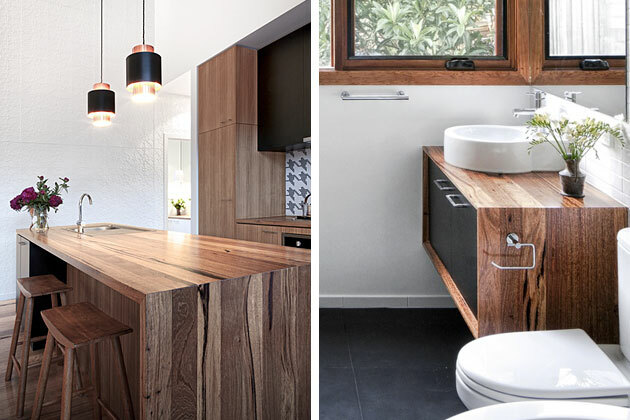 The good news is much of it is recycled timber. 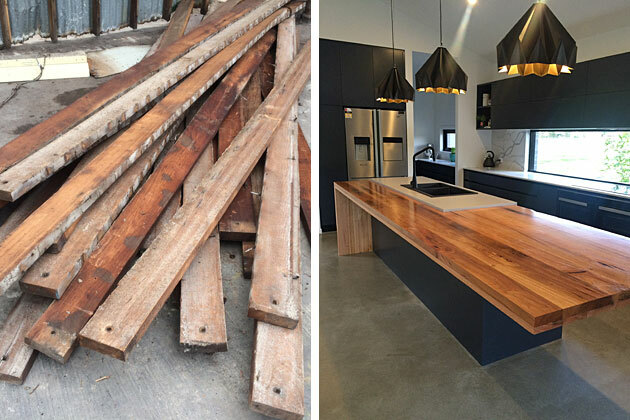 Instead of decreasing in value, salvaged timber is sought after by contemporary designers for its character and story as well as its green credentials. This rise in popularity is a tribute to the enthusiasm and persistence of recycled timber merchants like the Donchi family. 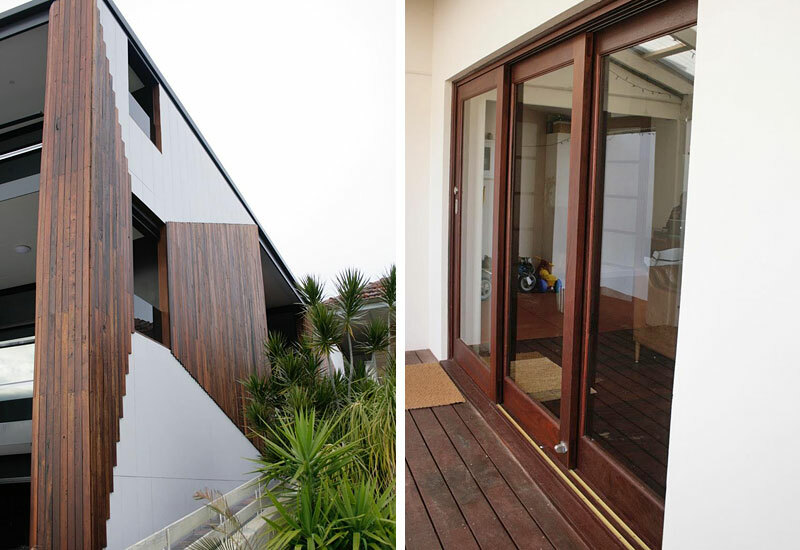 In the early 1980s Barry Donchi became interested in well-seasoned recycled timber for home building. He founded Nullarbor Sustainable Timber, Australia’s first registered timber recycler. Current manager, Brendan Donchi, spent the next few decades helping his dad collect old growth hardwoods from demolition projects around Australia. Experience, and state of the art milling capabilities, ensure every parcel of Nullarbor stock is assessed and processed for maximum versatility. Nullarbor Sustainable Timber have a showroom in Melbourne and a head office and processing mill in Moama, near Echuca. 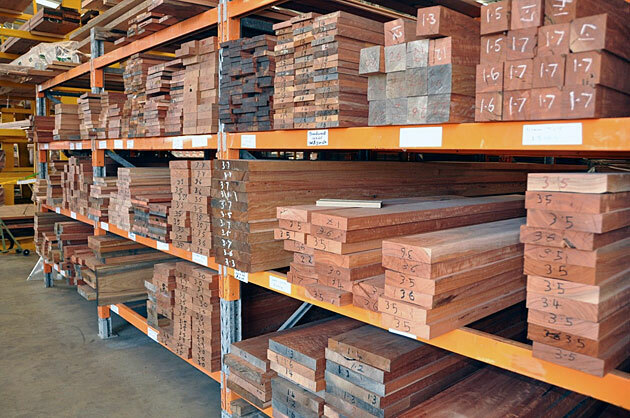 They cater for commercial quantities and household projects with a wide range of timbers. Species include red gum, spotted gum, ironbark, messmate, brush box, French oak, stringy bark, jarrah, Sydney blue gum, Victorian ash, blackbutt, oregon and tallowwood. Timber guys are a friendly bunch. They’re passionate about their product; knowledgeable about the capabilities and strengths of different timber species; and happy to share their knowledge so you get great results. 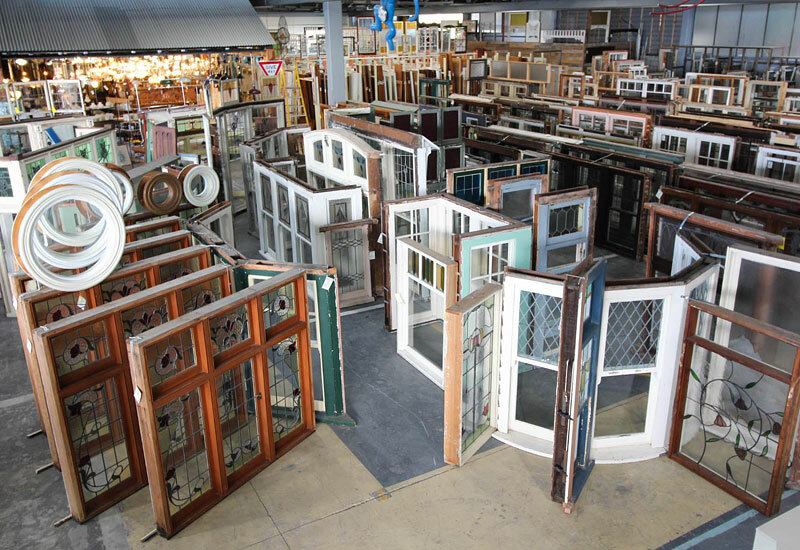 Whether you’re an architect, builder, renovator or furniture maker it’s helpful to plan your project with an expert. 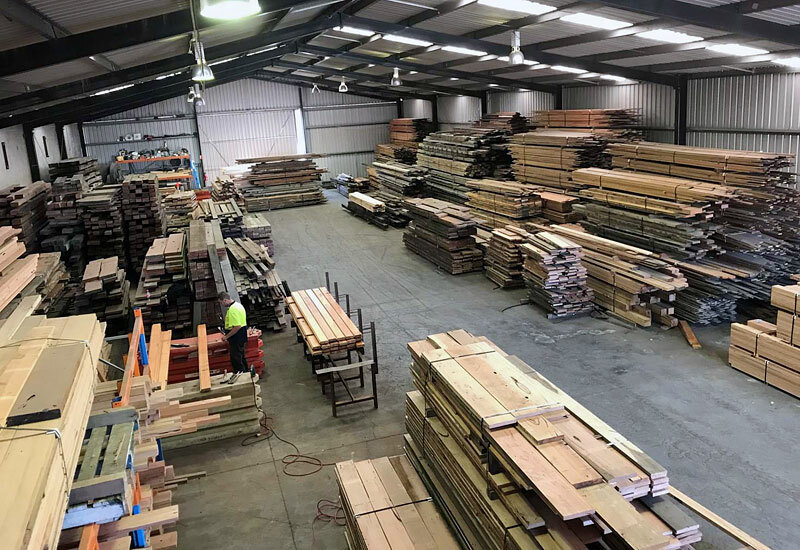 Both Nullarbor offices can help with advice, and their knockout recycled timber products can be delivered right to your door.